bilingual blog bilingue de la curiosité: Are you a romantic? Yes, you are. Don't kid yourself you're modern. Traditionally, Western culture has been described as being composed of five periods: the middle ages (sometimes split in several parts, they do span about 1000 years), the Renaissance, the Age of Enlightment, Romanticism, Modernism. And how long will modernism stay modern anyway? Recently I have been wondering about the validity of the last category. Our conception of ourselves as individual strikes me still as belonging to the romantic movement. Strange I have not blogged about this any sooner, it's been on my mind a lot in the last couple of years. I have started reading about the issue and found a number of scholars who also dispute these divisions. According to them we are late romantics, as Rousseau and Goethe were early ones, having developed various branches of Romanticism, such as marxism, existentialism and psychoanalysis. My exploration into the subject brought me to Isaiah Berlin"s book, The Roots of Romanticism. He investigates the notion of Romanticism. Very wisely, he does not try to give a definition of this cultural movement. Rather he develops the subject historically. According to Berlin, Romanticism was formed in Northern Europe, mostly Germany, as a reaction to the French enlightment movement. It originated within pietist bourgeoisies in opposition to intellectual aristocrats. By opposition to the an intellectual approach to the world through the light of intelligence, universality, Romanticism stresses feelings, mystery, the particular, the picturesque. That the world is not entirely fathomable. That man is not entirely fathomable. Which led later to the psychoanalytical movement. The worth of a man, rather than being his qualities, resides in his particularity. The more particular the better. The Enlightment is horizontal, contentment is possible. No God above, but humans power to understand and creative a reasonable society. Reason. Romanticism is vertical, from the very low to the very high, and as fast as possible. See Julien Sorel in one of my favorite books, The Red and the Black, by Stendhal. The hero of the novel ends up killing his mistress and being executed! This opposition is reflected in the architecture of the two periods: enlightment with its baroque lines all flat and horizontal, with its stress on the pleasures of life on earth, as recommended by little amours galivanting amongst clouds and blue sky. Romanticism returns - in keeping with its penchant for nostalgia, and for the mystic mysteries of the middle ages - to a rampant Gothic all in verticality and desire for the absolute. The resulting capitalism with its exarcebated sense of self work a pretty irresistible attraction to the world outside the West. Will they win? China and India seem well on the way to espouse these pursuits within the context of their cultures, but they are still rejected in parts of the Arabic world - they probably feel the capitalist system has not profited them much so far. Or will the religious resistance of fundamentalists rising all around the globe take over in the long run and eliminate all traces of Romanticism? 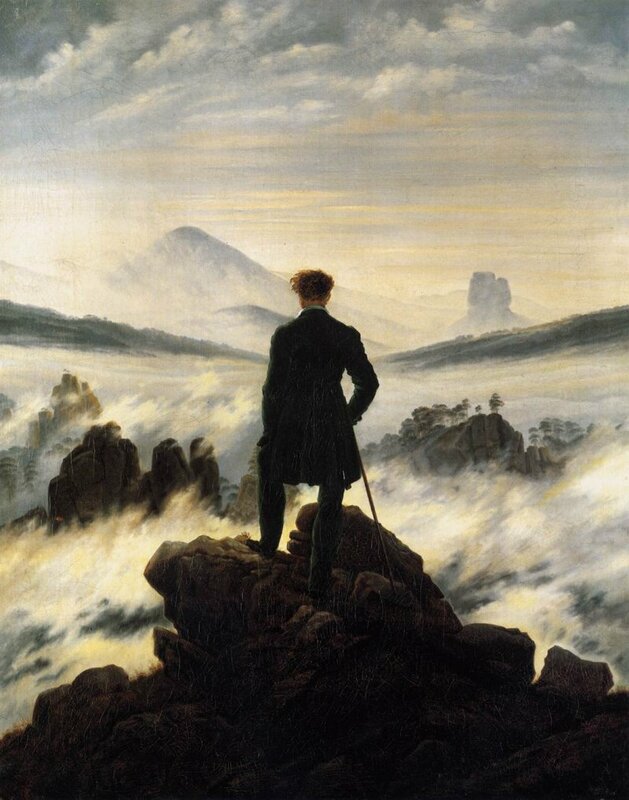 yes we continue to experience some of the philosophy of romanticism, but romanticism ended before the turn of the 20th century. Then people started to use again "logic" and explain everything with it. Reason has become once again the dominant philosophy near the first half of 20th century when totalitarian states started to dominate the world (nazism, fascism...). After the holocaust we rejected once again reason and we are lost in a chaos of "truths", because there is nothing left to believe in. Nothing is absolut, there is no one truth, as in matter of fact there are so many truths that at the end no one exists. We are disappointed romantics if you want, or just postmodernists.